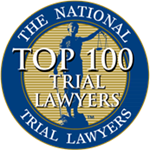 When you need a criminal defense lawyer in New York you can choose a top rated law firm with years of experience. Here at The Blanch Law firm we understand the importance of your case and will work hard to get the results you deserve. The Blanch Law Firm has a team of experienced attorneys with years of experience prosecuting and defending New York State criminal cases. 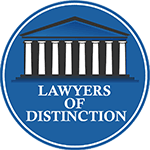 Our team of experienced attorneys have worked on countless New York state cases. If you are charged with violation of a New York law you need a law firm with the correct experience to help defend you. If you are under investigation or charged with a crime in New York understanding the charges or potential charges is extremely important because a charge could range between a small fine to life imprisonment. You should contact an attorney to understand what you are being charged with. Working with the District Attorney’s Office, the police, judges, and juries can be a tricky process so you need a law firm that understands how to best handle your case. At The Blanch Law Firm, you get experienced lawyers with a proven track record of success. When it comes to defending against criminal convictions in New York contact the experts at The Blanch Law Firm (212) 736-3900. Here at the Blanch Law Firm, you are paying for excellence in the field of criminal defense. When you are a suspect of a crime we understand what is on the line for you so we approach every case as if they are our only case. Our firm was founded in 2003 by Ryan Blanch and has since grown to one of the most reputable firms in New York. 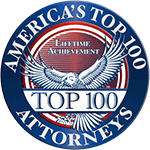 Our title as one of the top firms comes from the history of countless cases that we have won. Working with our well-established firm also means that you will have a team that has worked with and formed relations with judges, prosecutors, investigators, and the police. These relations and being able to work in the system is instrumental in helping you with your case. When your case comes to our firm your case will be handled by our highly dedicated staff of experts. We understand that being charged with a crime in the state of New York is a serious matter. We will work hard on your case to make sure you get the best defense possible. Our firm follows a hands-on approach to all of our cases. From the time we get your case, we will work with you each step of the way. A criminal case does not start when you are on trial, rather it starts with an investigation. From the time you are under investigation until the end of your case, we will treat each step as an opportunity to get a positive result. While other law firms work on volume we work on the idea of quality. At some other firms, your case may be one of several overlooked cases. We, however, keep a small number of cases to make sure that each case is handled with the care necessary to provide the best defense for you. Our firm has knowledge and expertise in handling New York State crimes. In New York, you can get charged with several levels of infractions including; traffic infractions, violations, misdemeanors, and felonies. Felonies and Misdemeanors are also broken down to different classes between A to E and felonies are further broken down by regular or violent felonies. Every crime that you can get charged within the state of New York comes with their own unique penalties. If you are charged with a crime by New York State you should contact us to help you defend against your charges. Some of the more common criminal convictions in New York include; larceny, robbery, drug charges, domestic violence, aggravated assault, murder, manslaughter, and DWI. Drug charges in the state of New York usually come in two forms, either simple possession or trafficking. The trafficking of drugs involves the attempt to sell or manufacture drugs illegally. The drugs involved in these charges are known as controlled substances and include some common drugs such as; cocaine, meth, marijuana, heroin and certain prescription drugs like Vicodin or Oxycodone. The charges of larceny and robbery are two of the most common crimes committed in New York. Both crimes involve the stealing of others possessions but for a robbery charge, there needs to be a use of force or a threat against someone to steal or maintain the goods. Our firm knows knows how to successfully defend against these allegations because we have experience handling larceny and robbery charges. Domestic violence cases usually bring up charges of assault, battery, or even endangering the welfare of a child. Domestic disputes at home can result in the police on the spot placing you under arrest and usually pressing a variety of charges against you. Our firm will work with you to try and ensure the correct stories get told and that you are not being overcharged for any offence you may have committed. In the same vein as domestic violence are aggravated assaults, which involve the purposful attack of another. There are usually several reasons why altercations occur, so in defending an aggravated assault case it is important to work with the facts of the altercation. Our firm has experience investigating and working with clients to help defend against the charge of aggravated assault. Murder or the lesser charge of manslaughter both involve the killing of another. Manslaughter usually involves killing someone unintentionally or only with the intent to hurt someone, while murder is the intentional killing of another. In New York, there are varying degrees of these homicide crimes and here at The Blanch Law Firm, we know how to defend against these charges and to negotiate charges. If you are arrested for driving while intoxicated you may face up to a year in jail, several fines, possibility, of a ignition interlock device, and suspension of your license. Our firm understands that the charge of driving while intoxicated may seriously impair you, your family and your ability to work, which is why we will work hard for you to defend against these chargs. Your case deserves a strong defense from the start to the finish. Our firm believes strongly in the notion that a case can be resolved at every step from investigation even up to appeals. We will be with you helping to guide you each step of the way. In New York, most criminal cases begin with investigations where they try and find evidence of a crime. It is important to know that during a criminal investigation you can and should have an attorney to solve any problems before charges are even filled. One of the most critical phases of an investigation for you to have a lawyer is during any questioning. Either the police or a New York agency may have officers conduct an investigation and most investigations involve questioning potential witnesses. During any questioning, you should have your attorney present to help defend you against common police tactics to get incriminating evidence. Once the District Attorney’s office feels there is enough evidence against you they will press formal charges against you. Depending on the type of case you may face a grand jury hearing where they decide if you are going to be indicted. Also, there will be a hearing to determine if you will be held in custody until trial or if they will set bail for you. During all of these steps, we will be there with you to help you resolve the case against you. You may address any charges with a plea deal, however, it is highly advised before you make any deal with a prosecutor to first speak to an attorney. Here at the Blanch Law Firm, we have years of experience on both the defense and prosecution sides negotiating plea deals, so we will most likely get you a much better plea deal. If your case goes to a trial it is important to have a strong oral advocate in your corner that knows the law and how to work with the judges and juries in courts in New York. Our firm has tried many cases and we are ready to handle even the most complicated criminal trials. At the end of your trial or if you plead guilty we can also handle appeals of your conviction. We had a client come to us saying they were under investigation for a domestic violence assault case. Our firm decided to meet with the Manhattan District Attorney’s Office about this case. After the meeting, we got all assault and domestic violence charges dismissed for our client. Our firm also conducts investigations of our cases and does not just rely on the evidence handed to us from the District Attorney’s Offices. We had a client come on endangering the welfare of a child charge. A month after getting this case we obtain video surveillance that proved our clients innocence and we got all charges dropped. One client came to us for criminal possession of a firearm. We worked with the client to get this case dismissed before it even reached the grand jury by meeting with the District Attorney’s office with our client. Our firm is also skilled at the successful negotiation of plea deals. One client was offered a plea of 2 to 6 years imprisonment for smuggling contraband into a detention facility. After months of plea negotiation, we were successfully able to get our client a plea to a misdemeanor with 30 days in jail. The Blanch Law Firm represented a client for an administrative hearing regarding the misuse of about $20,000 of health care benefits. We were able to for our client secure that no charges were brought by the District Attorney’s Office. We also had a client that was charged with criminal mischief when they broke the window of a Fire Department of New York ambulance. Within a month of the incident, our firm successfully had the case dismissed and had the record sealed. If you are facing any criminal charges in the state of New York you should have the experts at the Blanch Law Firm help you with your case. 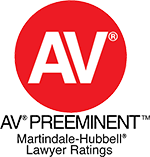 Our firm has years of experience defending against criminal convictions .